We’ve come to believe that this fitness thing has to be done at a facility designed specifically for fitness, working out, classes or other exercise methods. Over the years I have developed more and more plans for clients to actually get a lean, toned body by working out at home and surprisingly these people don’t really have that much time to even train given their busy schedules. But they still get to reach that goal, leaning out their body and losing fat quickly. 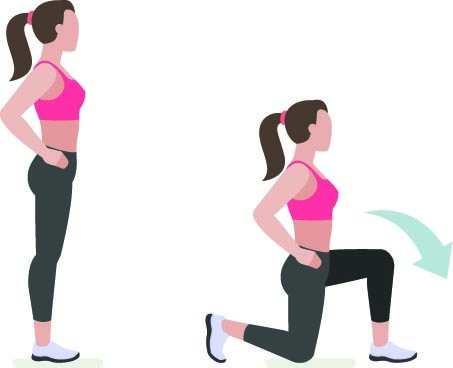 There are some things to note when working out at home and this article is going to go into it in a little more detail than just saying ‘hey why don’t you do some air squats and burpees and eat lean protein’. I want to make sure that after reading this you’re able to get that lean body and know exactly what kind of space you’ll need. You’ll also learn what equipment you could potentially add into your arsenal, how much time you’ll need and you’ll find out about the specific workouts I have given clients in order to achieve the results they dreamed of once they contact me through my Revitalization Blueprint Coaching plans. Therefore whether your goal is to get your booty building in, your greek god workouts completed (I have a good article coming for this next week by the way – just saying), your real transformation can really start at home, with a little consistency you will soon see that belly fat melt and become the envy of your business partners. Actually getting a session in at home doesn’t take that long, I have clients doing 5-minute fat loss workouts, 10-minute booty building sessions, 15-minute lean body routines which are all getting amazing results. The question you need to ask yourself when looking to achieve your lean body by working out at home is ‘how long can I schedule my sessions in my diary?’. I ask all clients to commit to their routines to guarantee results, this is going to require looking in and instead of aiming really high. There’s a bit of reverse psychology by starting low and building what I call a ‘success stacker’ one session at a time. That means you can start out with 3 sessions a week and build to 5, don’t aim for 5 sessions then fail and only get 3, start building the success and consistency will continue from there. For the purpose of this plan I am going to include sessions that last 10-15 minutes for your lean body workouts which can be done at home. There will be some walking and jogging to be done outside if you wish to boost your fat loss results and reveal that lean body quickly, I also advise for the psychological benefits that you should get outside and in nature multiple times a week too, just schedule it in. This really will not just depend on your budget but also the space you have available to achieve your lean body at home. I am going to include the sessions here which don’t actually need any equipment at all but you could add a couple of things into the mix in order to increase the intensity to get real quick fat loss and muscle gain when you work out at home. Things such as a kettlebell, some dumbbells, foam rollers to assist recovery, exercise bands an exercise ball and an ab wheel would be amazing additions to your home gym workouts however they aren’t vital to actually get the results as you will soon see. How Much Space Do I Need To Workout At Home? Home workouts for fat loss and muscle gain, even just for general fitness don’t have to take up much space. When I have designed workouts for clients they’ve been done in the small space in front of the TV or at a hotel in the space you get at the end of the bed. The guideline I look to get the sessions in is to make sure you’re able to have 1.5-2x your height and 2-3x your width in order to make sure you are able to allow for slight variations in your movements and foot positioning. When the summer comes you could also look to do the sessions in a local park which would be great for killing two birds with one stone, working out and being in nature. It would also be great to then add some intervals into your cardio sessions when out there if your schedule permits. What Workouts Can I Do? Perform 10 reps of each exercise, move straight onto the next one with no rest, when you get to the end of the circuit rest for 60-90 seconds and repeat 5 times. 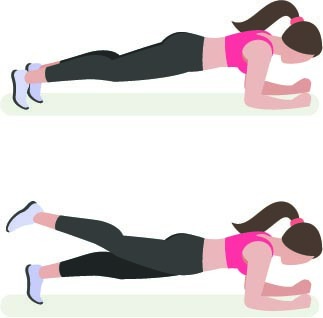 Perform 60 seconds of the plank, then move to the up/downs, 20 mountain climbers, 10 supermans following on with maximum push ups before resting for 60-90 seconds and repeat 5 times. Perform 10 lunges each leg, 10 squats, 10 full burpees, wall sit for 60 seconds+ then perform a final 10 close grip push ups to hit those triceps before resting 60 seconds and repeating 5 times. Take 1 minute jogging warm up then on the sidewalk you sprint between two sets of streetlights and walk between one set until you get to the 14th minute when you take a minute to cool down. How Can I Log My Sessions? When you are looking to achieve a lean, toned body working out at home you will want to look at how you’re progressing with your workouts. This can be done by simply writing down what you achieved on a single day alongside how hard you perceived it to be. Now whilst you’re only doing bodyweight workouts the perceived exertion will be important to log your progress, to get a better method of tracking you could add the equipment and increase weight as you get stronger. One amazing thing I do like to do for logging sessions, I find this works well with entrepreneurs due to the majority having a very high attention to detail and like to visualize their progress, putting a calendar on the wall and pop a large red cross into each day you achieve your workout goal. You will build a streak and start to gamify your results, one of the reasons a lot of apps and fitness tracking watches have become so successful as we get to a point we don’t want to break that streak. There you have it, now what is important to remember here is that this is a workout to achieve a lean, toned body working out at home, it isn’t designed specifically for the individual like I do with all my clients, it’s kind of cookie cutter but will work with some consistency and commitment.